After a ten-year silence, Christopher Alexander and his colleagues at the Center for Environmental Structure are not publishing a major statement in the form of three works which will, in their words, "lay the basis for an entirely new approach to architecture, building, and planning, which will, we hope, replace existing ideas and practices entirely." 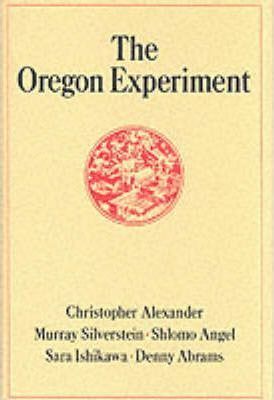 The three books are The Timeless Way of Building, A Pattern Language, and The Oregon Experiment. At the core of these books is the idea that people should design for themselves their own houses, streets, and communities. This idea may be radical (it implies a radical transformation fo the architectural profession) but it comes simply from the observation that most of the wonderful places of the world were not made by architects but by the people. Christopher Alexander is a builder, craftsman, general contractor, architect, painter, and teacher. He taught from 1963 to 2002 as Professor of Architecture at the University of California, Berkeley, and is now Professor Emeritus. He has spent his life running construction projects, experimenting with new building methods and materials, and crafting carefully articulated buildings--all to advance the idea that people can build environments in which they will thrive. Acting on his deeply-held conviction that, as a society, we must recover the means by which we can build and maintain healthy living environments, he has lived and worked in many cultures, and built buildings all over the world.